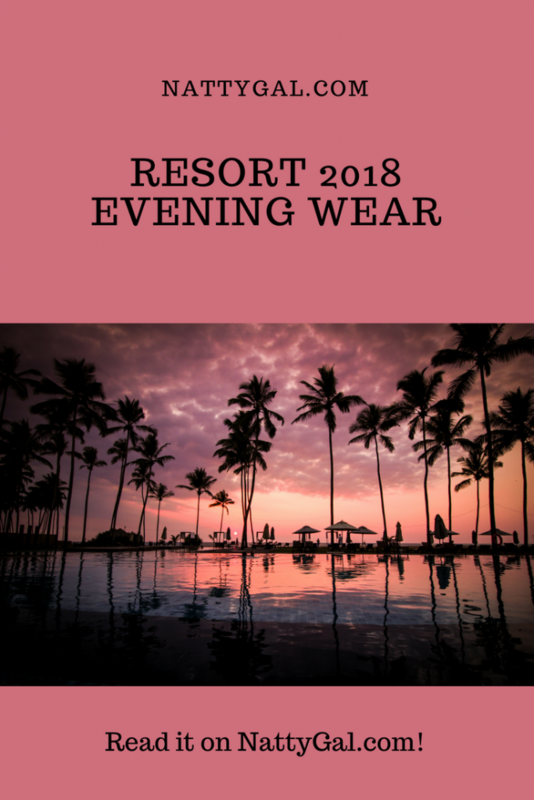 Welcome to week two of Resort Wear! This week we’ve got a few ideas for resort evening looks while on your holiday. If you missed last week’s post covering swim and day wear, it can be found here. 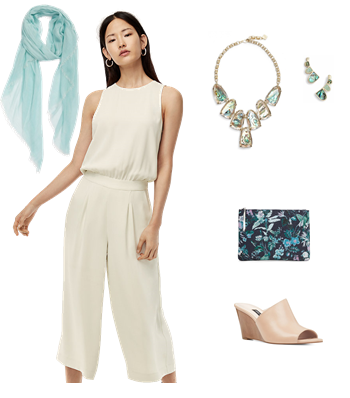 Inspired by the colors of surf and sand, this first outfit pairs a cream cropped leg jumpsuit with blue-green abalone colored accessories. A silk blend scarf will help keep the chill off. Aritzia Belmondo Jumpsuit $145 – A favorite brand of Meghan Markle! Nordstrom Modal Silk Blend Scarf $39 – The oxford tan color would also work well if you’d like to keep the wrap neutral. Dancing under the stars? Creamy mother of pearl accessories complement the bold and flowy, one-shoulder tunic dress by Norma Kamali. 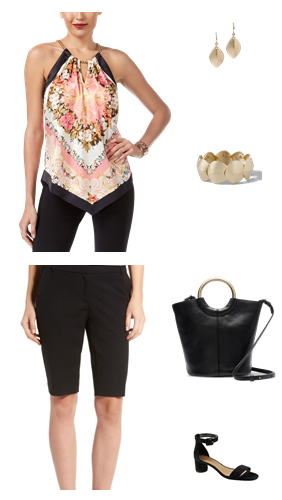 For a slightly more casual night, try pairing a walking short with a pretty halter. I just purchased a pair of the Halogen Bermuda shorts shown below and they are wonderful! The substantial fabric has a nice stretch that holds the short’s shape and I found the petite size resulted in the correct slightly-above-the-knee length for my 5’4″ frame. Halogen Stretch Bermuda Short $49 – NATTY GAL TOP PICK! Thanks for stopping by! Until next time, have a great weekend!